Univention Corporate Server (UCS) is a good basis for the economical operation and easy administration of server applications and entire IT infrastructures. 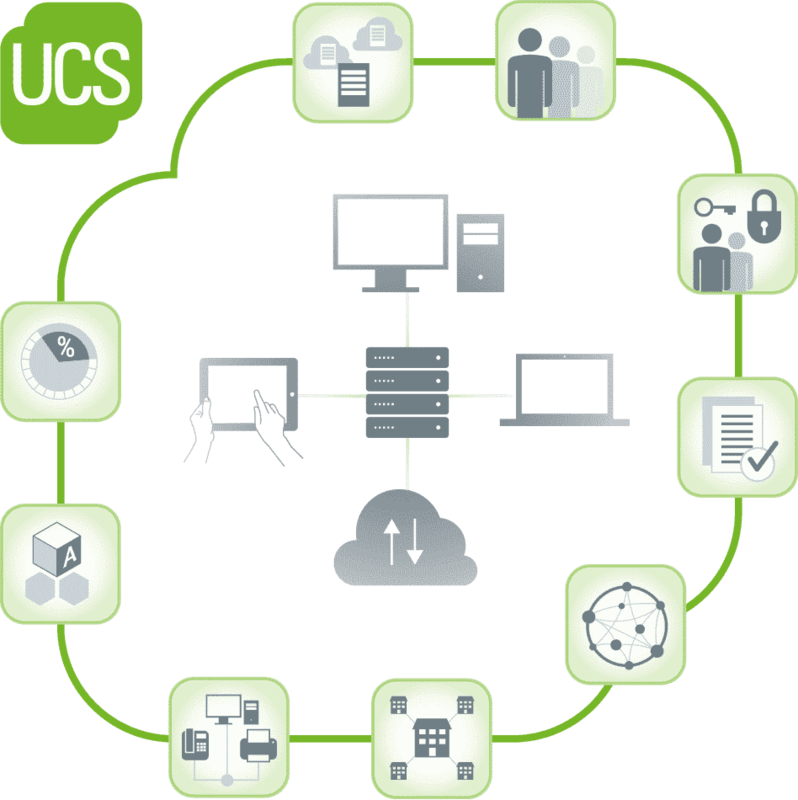 The UCS system is ideal for managing distributed and heterogeneous IT environments. Especially in virtualized IT environments you can use UCS optimally. It does not matter whether you use Microsoft Windows, Mac OS X or Linux systems in your company. The great advantage of Univention Corporate Server is its integrated identity and infrastructure management system. This makes it easy to administer applications, users and resources. The server systems are administered via the integrated web interface. Thanks to standardized interfaces, UCS can be easily integrated into existing environments. The integrated App Center offers a large number of enterprise solutions, such as EGroupware, an e-mail server or an e-mail archive. Select one or more applications from the app center’s approximately 100 applications. These applications can be installed with just a few clicks and administered via the graphical user interface. 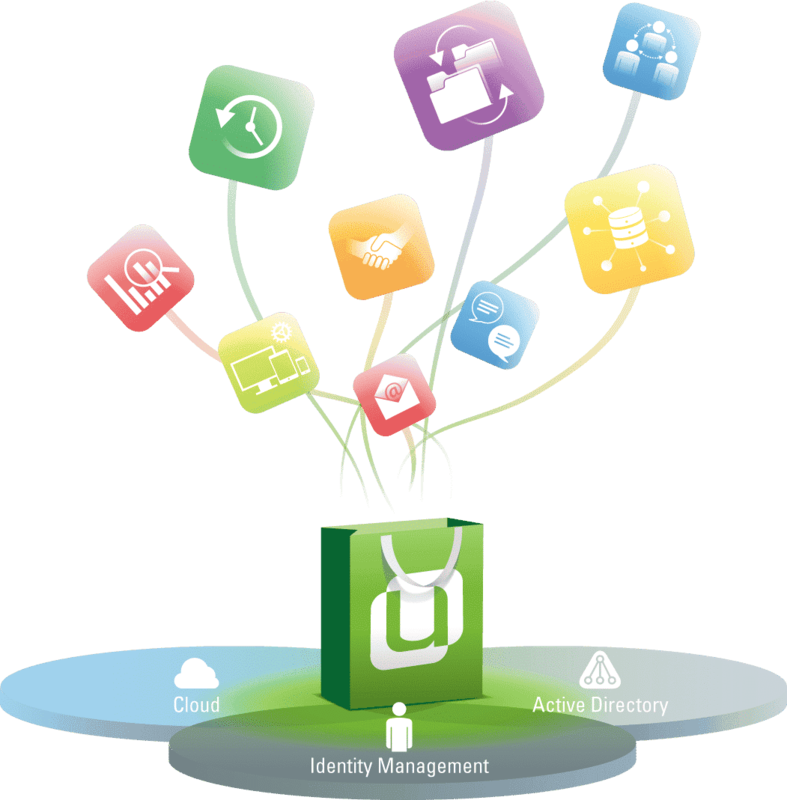 You can manage server and cloud applications in the Univention App Center like apps on your smartphone. The App Center offers the possibility to test EGroupware easily. You can simply download a finished VM-Ware Image incl. EGroupware and put it into operation within a few moments. Univention offers downloads for different virtualization platforms. 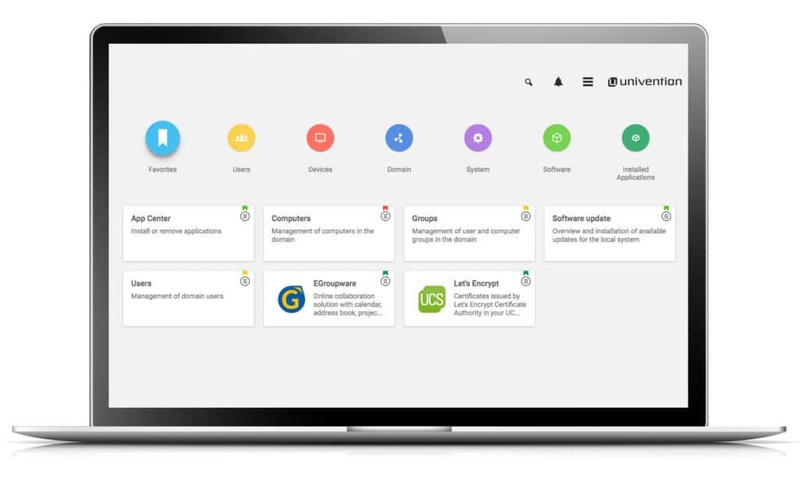 The apps can be easily installed from the App Center, integrated into your own IT and conveniently managed via the central management system of UCS. Pictures and information with kind permission of Univention GmbH. Comprehensive Active Directory functions allow integration with and replacement of Microsoft Windows environments. For larger companies in particular, a single sign-on and integration into the existing IT infrastructure is very important. EGroupware and UCS offer many advantages for the administration and users of the corresponding systems. Feel free to contact us about a possible migration to your UCS package. We offer several ways to switch from an existing EGroupware to a Univention system. All data is preserved and you can then combine the advantages of UCS with EGroupware. If you already have an existing UCS server in your company, you can simply install EGroupware via the App Center. If you don’t have a UCS server yet, you can download and test the UCS server with pre-installed EGroupware system here. If you have any questions about installation or migration, please contact us. For UCS, there are scaled pricing models depending on the application and size. Univention offers a special pricing model for non-profit organizations, schools and educational institutions. The UCS Core Edition is a full version that can be used free of charge but does not include support. We recommend the Base or Standard subscription, depending on whether you use UCS as a domain controller or not. Please contact us so that we can offer you the right solution. Further information on installation variants can be found on the “Download” section of the website.